The Rome-based speleological association Roma Sotterranea is organizing two cycles of its popular "Introduction to Subterranean Rome" in September and October of 2017. This course consists of two evening lessons at its headquarters on the via Appia Antica (nn. 24-26) and two site visits, one of which is to the Jewish catacombs of the Vigna Randanini. The full calendar and program is here. Founded in 2000, Roma Sotterranea has a noted track record of collaboration with Rome's Archaeological Superintendency on the documentation of ancient underground cemetery galleries containing Jewish tombs. In 2007, the organization created a new map of the Vigna Randanini site with archaeologist Samantha Lombardi. in October of 2013, it penetrated the Monteverde Vecchio hillside through a narrow shaft to confirm the existence of vast quarries and an underground lake thirty meters below ground level, in the vicinity of (though not in direct connection to) other hypogean burial sites for Jews in Late Ancient Rome known as the "Catacombs of Monteverde". A 2016 film clip for RAI program Linea Verde (link, in Italian) illustrates the experience, and the site is still in study to determine any surviving connection between the Monteverde caves thirty meters below ground level and the Roman-era catacombs, largely excavated in a higher geological stratum south of the shaft opened along via Lorenzo Valla. 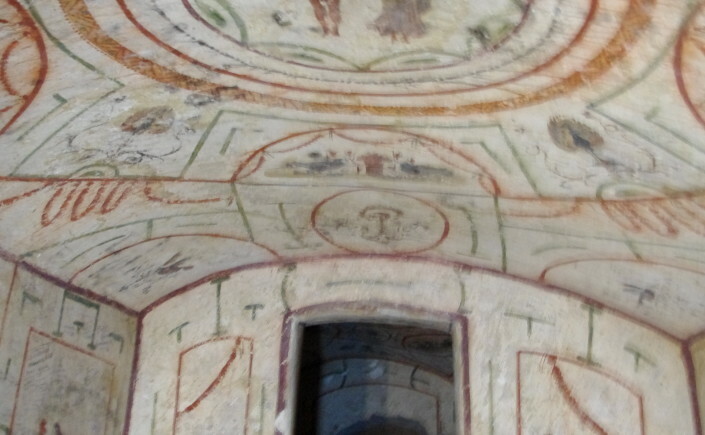 The International Catacomb Society has extensive photographic documentation of the Vigna Randanini catacomb in its DAPICS database from both historical and contemporary sources (link).